Despite stories about the “deepening divide” between rural and urban, the difference between major-city voters and rural voters changed very little in last year’s election. In fact, Democrats made a 4-point comeback with rural voters in 2018. The oft-told story of the 2018 election is that the gap between rural and urban voters grew. If you don’t believe it, just search for urban and rural and 2018. You’ll be overwhelmed with stories about how “America’s urban-rural divide deepens” and the “deepening American divide.” This story gets repeated until everyone knows it’s true. It isn’t. You can see that in 2006, the vote for House members (represented by the blue and red lines; the bars are presidential results) was close in almost every geographic category. The only place any party dominated was in the core counties of urban areas with more than a million people. Over the next six election cycles, Democrats continued to gain in these central city counties. Republicans gained majorities in smaller cities or in suburbs of medium sized cities and in rural counties. 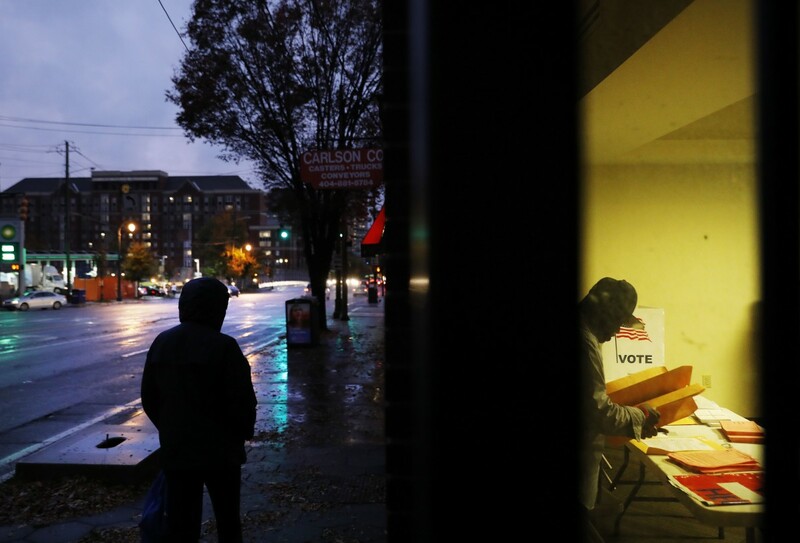 The two parties battled in the suburbs of the major metropolitan areas, where over 29 percent of voters lived in 2018. The political division wasn’t rural versus urban. It was big city Democrats versus everybody else. The simplest explanation for the 2018 House results is “blue wave.” Every area grew more Democratic. Democrats won the suburbs and they cut their losses in rural counties. And central city counties grew even more Democratic. The gap between rural and urban areas shrank a tiny bit even as both geographies got considerably more Democratic. In other words, 2018 didn’t see an increase in the rural/urban gap. This election saw a Democratic comeback in rural areas and an increasing concentration of Democratic voters in central cities. Will the Democratic Party recognize this shift in rural votes and act on it? The editorial page of the Roanoke Times is asking Democratic candidates to begin talking about economic growth in rural counties. And two Democratic activists talk in the Daily Yonder about their party’s coastal myopia. But is anybody listening? The Democratic Party is essentially following its voters, who are increasingly urban. Just over 24 percent of the Democratic presidential vote in 2008 lived in small metros (under 250,000 people) or in rural counties. In 2016, that number dropped to 16.7 percent, a 31 percent decline. At the same time, the share of the Democratic vote residing in major metropolitan areas or in the centers of mid-sized cities increased 12 percent, from 70.6 percent in 2008 to 79 percent in 2016. Rural areas are more likely to have a combination of factors that help poor children succeed in the labor market later in life. Raj Chetty’s massive national study turns conventional wisdom on its head about the best places to grow up. You wouldn’t know it from national news reports that describe decline and dysfunction outside the fast-growing cities, but a major study of Americans’ income finds that children, especially from poor families, benefit from growing up in most rural communities. Children growing up in poor families in three out of four rural counties have higher incomes than the national average at age 26 simply as a result of spending time in these communities. This increased income is the result of “neighborhood effects” that can either help or hinder children who grow up in every community. According to the findings of a massive national survey of income by Stanford economist Raj Chetty and others, rural places more often have the combination of factors that help poor children succeed in the labor market. Meanwhile, the centers of the nation’s largest cities — the counties at the heart of the new economy — have “neighborhood effects” that are largely bad for children in poor families. In only 29 percent of these densely populated places do children in poor families grow up to earn more than the national average at age 26. The study finds a number of factors that benefit children. Communities that are less racially segregated, that don’t have wide disparities in income, that have good schools and have a strong civic life produce grown-ups who earn more than people who grow up in places without those qualities. The Chetty study tells a different side of the story. After studying millions of income tax returns over several decades, Chetty finds that the best place for a poor child to live — if the goal is to increase future income — is in those “sparsely populated counties” on the Great Plains. Most poor children growing up in the vibrant centers of the cities of a million or more people earn less than the national average by the time they reach their mid-20s. Chetty’s study attempts to isolate and identify the “neighborhood effects” on future income. Yes, income is determined in part by individual characteristics. But what Chetty finds is that places have enduring effects on people. When you hold all other factors constant, Chetty and his legion of co-workers find that some communities help poor children earn more. Others produce a drag on earnings. Simply put, a child in a poor family growing up in Meeker, Colorado, or Sundance, Wyoming, or Big Lake, Texas, earns much more than the national average at age 26. Those who spent their early years in the city centers of Austin, Texas, Chicago, Illinois, or Charlotte, North Carolina, earn much less. “Rural areas produce better outcomes,” said Nathaniel Hendren, a Harvard University economist and co-author with Chetty in these studies. The effects aren’t limited to poor kids. Children from rich families also benefit from growing up in these places, although to a lesser degree. The “success of the poor does not have to come at the expense of the rich,” the Stanford economist writes. Vance was born and reared in Middletown, Ohio, which is in Champaign County. According to Chetty’s data, which covers the time when Vance was growing up there, Champaign County, Ohio, has a positive impact on children who grow up in poor families. For every year a poor child spent growing up in Champaign County, he or she increased earnings at age 26 by 0.25 percent over the national average. A child reared in Champaign County for 20 years in a poor family thus earned 5 percent more than the national average — not despite of the community but because of it. Far from being a detriment, the place where Vance grew up was an advantage, according to Chetty’s data. Children from many of these counties may not earn their higher salaries at home. Like Vance, most will move off to the big cities. But once there, they will earn more. In Fayette County, Texas, the rural county where I live, the “neighborhood effect” on poor children is 0.65. For every year spent growing up here, a child in a poor family can be expected to earn 0.65% more than the national average at age 26. Children in poor families who spend their first 20 years Fayette County will on average earn 13 percent more than the national average at age 26. Just 70 miles to the west of Fayette County is Austin, perennially one of the fastest-growing cities in the country. Travis County, at the center of the sprawling city, is filled with coffee shops, young people, high tech businesses and universities. Its skyline is filled with construction cranes building ever more high-priced condominiums. Travis County is a millennial paradise and a greenhouse for new businesses. It is also a bad place for poor children. For every year spent growing up in Travis County, a person from a poor family falls 0.46 percent below the national average. Growing up poor in Travis County on average reduces the income at age 26 of a poor child by 9.2 percent. The difference in income for a child from a poor family between ultra-urban Travis County and rural Fayette County is more than 20 percent at age 26. Chetty, Hendren and the other researchers in this project have attempted to isolate the community factors that affect the income of those who grow up in these places. The connections are hard to make, and the researchers are still teasing out the data. Income inequality. Places with a great amount of income inequality have worse outcomes for poor children. Segregated places reduce future incomes for both white and black children in poor families. Places with high “social capital” — low crime rates, lots of religious and civic organization, high levels of trust — are good for poor children. Education matters. The researchers found that places with low test scores and higher dropout rates were worse for poor children. (Children from well-off families seem to do fine regardless of school quality.) Chetty found that measures of education “input” — class size or spending per student — seemed to have less bearing. The impact of all these community effects is greater for boys than for girls. 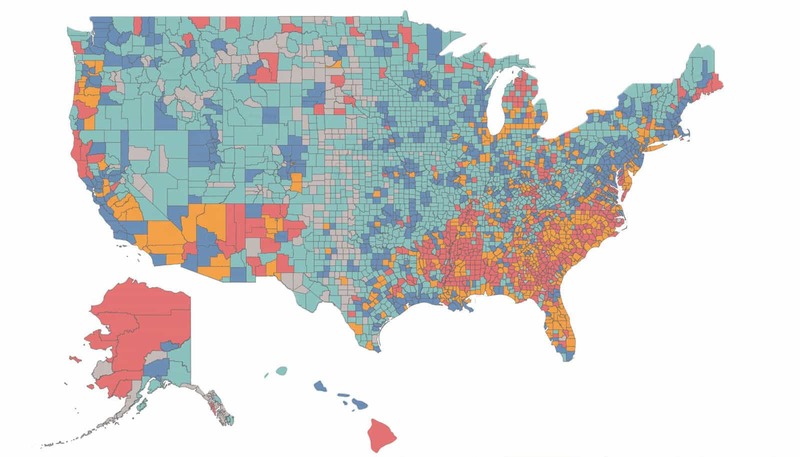 The map shows that areas with a higher percentage of black and Native American residents have less upward mobility. The researchers find that this is a combination of community effects — these places may have more segregation and poorer schools — and discrimination. The best places are those where people — rich and poor, black and white — are mixed up. These are places with a strong sense of community, low crime and good schools. Nearly eight out of 10 rural counties have enough of these qualities to help poor children earn higher incomes. Of the 100 best places for poor children, Belz notes, 77 are in mostly farm counties of the upper Great Plains. Bill Bishop is a co-founder of the Daily Yonder. Data visualizations by Dave Mistich. This story was co-published by The Daily Yonder. Appalachian Virginia received another lesson last week in its ongoing education on political math. 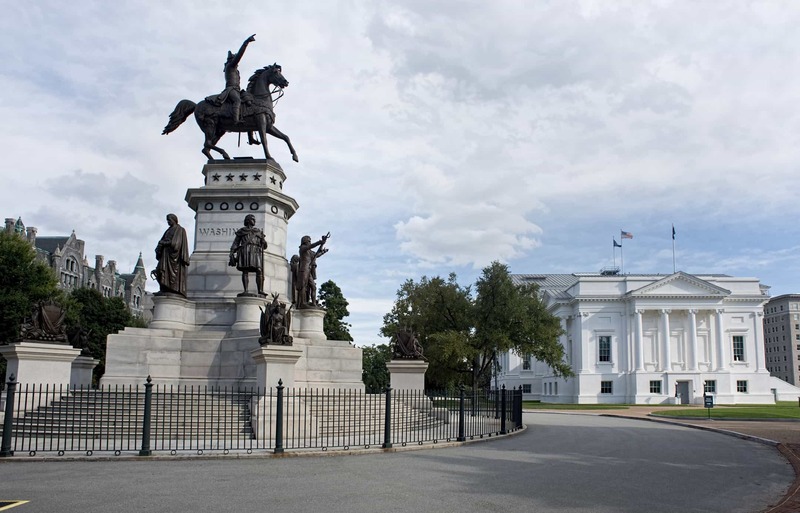 In the state’s Democratic and Republican primaries, the region voted for liberal populist Tom Perriello and Confederate-defending, conservative firebrand Corey Stewart, respectively. Both lost to more establishment-oriented candidates who succeeded in winning in Virginia’s three major metropolitan areas: Northern Virginia, Hampton Roads and the suburbs surrounding Richmond. The disconnect between Appalachia’s favored candidates and the actual winners starkly illustrates the region’s declining influence in Virginia politics. “Generally speaking, I think cultural attitudes are a big part of all of this,” said Geoffrey Skelley, associate editor of Sabato’s Crystal Ball at the University of Virginia Center for Politics. The Democratic primary, projected to be a photo finish but in actuality a fairly easy win for current Lieutenant Governor Ralph Northam. In Appalachian Regional Commission-designated counties, Perriello won 60.2 percent of the vote to Northam’s 39.8 percent. Statewide, Northam won 55.9 percent to 44.1 percent. Northam won several counties in the state’s southwest corner, including a few in the coalfields, but Perriello easily carried the vast majority of western and south central Virginia. Why did he do well there? effectively straddling the fence by arguing they need to meet environmental standards. While Perriello won the west and south central, Northam crushed in the north and southeast parts of the state. Because that’s where most voters — and especially most Democratic voters — reside, he also won the statewide contest by a fairly significant margin. On the Republican side, Stewart won 54 percent of the vote in the ARC counties to Ed Gillespie’s 38.2 percent and Frank Wagner’s 7.7 percent. Stewart appealed to rural Virginia, including the Appalachian counties, by using the approach taken by Donald Trump, only more so. He claimed to have spent more time in southwest Virginia’s 9th congressional district than any other in the state, and he went after Gillespie by bestowing him with the Trump-esque nickname of “Establishment Ed.” Stewart also was helped by the presence of Wagner, a state senator who leached Republican votes from Gillespie’s left, effectively squeezing him in a pincer movement. Appalachia was more influential in the Republican primary than in the Democratic primary. The ARC counties accounted for 7.0 percent of the overall Republican vote, versus only 3.9 of the overall Democratic vote. Take the geographic size of Appalachian Virginia, consider the amount of travel involved to generate those kinds of voting figures, and you can begin to understand why statewide candidates are spending less time campaigning here than they once did. The disconnect between election results in Appalachia and those statewide doesn’t bode well for the region’s continued relevance, especially given that the mountain regions of the state are growing more slowly —- and in some cases are losing population outright — than the metropolitan areas. The trend has been moving against mountain Virginia for decades, coinciding with the departure of legacy industries as well as a regional tilt from Democratic to Republican control. Take, for instance, the 1989 election of Douglas Wilder, the nation’s first black governor. Four years earlier, Wilder had made southwest Virginia a cornerstone of his campaign for lieutenant governor, and he built on that foundation in his gubernatorial run. In both elections he was also benefitted by the presence of Mary Sue Terry, a resident of ARC member Patrick County, on the ballot. Republicans won gubernatorial races in 1993 and 1997, but in 2001 Democrats regained control of the governor’s mansion when Mark Warner ran his “Bubba campaign” with outreach to rural voters through racing, bluegrass music and hunting and fishing. By this time, Appalachian Virginia had shifted to the GOP in statewide elections, only accelerating after the election of President Barack Obama in 2008. Southwest Virginia was part of the coalition that enabled the GOP ticket to sweep the 2009 statewide elections. At the top of that ticket that year, Republican Bob McDonnell defeated Democrat Creigh Deeds — a resident of Appalachia and one of the only three Appalachian Democrats remaining in the current General Assembly. McDonnell notably ran better in Northern Virginia and his home Hampton Roads than previous Republicans, which served to reinforce the power of the state’s rapidly changing demographics. Since then, however, Democrats have swept every statewide race, including those for president U.S. Senate in 2012, governor and two related positions in 2013, U.S. Senate again in 2014, and president in 2016. As Appalachia has trended Republican, Virginia as a whole has trended Democratic. Last year, the ARC counties voted roughly 2-1 for Trump, even as Hillary Clinton won the state 49.8 percent to 44.4 percent. What should Appalachian Virginians expect for the general campaign? Few appearances by the candidates, especially on the Democratic side. The three metropolitan areas yielded 79 percent of the vote in the Democratic primary, which saw record turnout for a non-presidential primary. Trump’s presidency has evidently energized Democrats, but there are fewer of them in Appalachian Virginia than there were a generation ago. While Northam will give lip service to Southwest Virginia and even make a few campaign swings, he’s more likely to follow Democratic conventional wisdom in focusing on the urban crescent. After all, the last statewide Democrat to spend much time in the mountains was Mark Warner. The most popular politician in Virginia nearly got picked off by Gillespie in 2014, and afterward he was roundly criticized by members of his party for not focusing tightly enough on voter-rich metro areas. Gillespie likely will spend more time in Southwest Virginia than Northam — the non-metro part of Virginia yielded 31 percent of the vote in the primary, 10 percentage points more than on the Democratic side — but even he is likely to focus most of his energy in the metro region. After all, it was his performance in Northern Virginia in 2014 that nearly allowed him to defeat Warner. Victory on Nov. 7 likely will hinge on Virginia’s metro areas more than Appalachian counties. The winner, however, will be faced with governing all of the commonwealth —- including the very real challenges faced by the those who live in its western mountains. Data visualizations by Dave Mistich.